We all know how to be a clever consumer. We all choose the best deal for a Christmas vacation at the mountains. We know how to buy designer clothes during Black Friday at fire-sale prices. But are we clever consumers of our health insurance? For years we haven’t thought how exactly our insurance works. Earlier insurance was low-priced and covered almost all our needs. Nowadays insurance terms system is complex and entangled. So let us figure everything out together. There are many types of health insurance. Let’s talk about some of them. You can only visit doctors, specialists or medical institutions that have signed a contract with HMO. 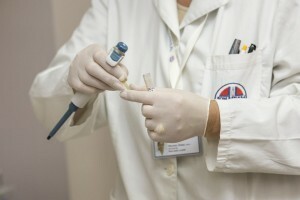 Furthermore, you must choose the main physician, who will give appointment cards to specialists. Insurance organizations of HMO type usually have the lowest premium. Income of HMO is constantly growing. According to the North American industry Classification System (NAICS), from 2008 to 2017 it has grown from 5 391 to 8 575 billion dollars U.S. The predicted income in 2020 will comprise 9 698 U.S. Dollars. It is similar to HMO. The difference is that you do not have to choose the primary physician of the therapist, and do not necessarily get referrals to specialists. You are obliged to visit doctors, specialists or medical institutions in the network of the plan (except for cases of urgent medical care). You can be treated both in-network and out of it. In the network you will get more favorable terms. If you go to a doctor out of network, you will likely have to pay extra, and the conditions will be less profitable for you. PPOs generally do not require a referral from the physician to specialists. As a rule, the network of doctors at PPO is much wider than the network of doctors at HMO or EPO. This type of insurance is usually more expensive than the rest. There are several more types of plans (POS, PFFS, etc. ), but the lion’s share of all insurance in the market, more than 80% of the health insurance market, occupy HMO and PPO. Premium. Premium is the amount of a monthly insurance premium. All Premiums differ, and can vary from $180 to $500 (per person). Copay is a fixed amount that you pay for each visit to a doctor, for a medicine or other The rest of the cost is covered by your insurance plan. For example, $40 for to visit a medical specialist or $100 to visit an emergency center. The rest is covered by insurance. In some life insurance terms copay is not provided. Deductible. A deductible shows how much you need to pay before the insurance coverage begins to work. In some plans, a deductible is not provided. A deductible may not apply to all medical services – for example, it usually does not apply to preventive services (vaccinations, routine appointment). Deductive price can increase when using medical facilities out of the network as well. This is a very important factor. Coinsurance. You pay a certain percentage (for example 20%) of the cost of the service, and the rest is covered by your insurance plan. The demand for coinsurance is also not provided in all the plans. Out-of-pocket maximum. It means maximum amount that you should pay within a year. If you have already paid your out-of-pocket, then all the copay, coinsurance, and deductible lose their meaning and the insurance starts to cover 100% of all your expenses. So these are main insurance terms and definitions you need to know. Some plans have neither copay nor deductible, in some of them deductible equals out-of-pocket maximum, and everything becomes even more confusing. But in general, let’s imagine that the insurance plan has all the above-mentioned parameters and describe the way it works. The insurance year began. You start visiting doctors and get some treatment. Some services are completely free for you, as guaranteed by law and specifically stipulated in the health insurance plan. For all the others – for each visit to the doctor, for each service, you pay a certain copay (surcharge). For example, $ 25 to visit the physician or $ 50 for a chest X-ray. The size of copay for a service is always fixed and you can check it with your insurance company. If in your case copay is not provided, then you pay the full amount for everything out of your own pocket. First, it goes like that until the amount you spend does not reach your deductible. After that, you start paying coinsurance (for example, 20%) for all medical services, and the remaining part (80%) begins to be covered by the insurance company. As soon as your personal payments reach out-of-pocket maximum you stop paying for anything at all, and the insurance company covers 100% of your expenses. The insurance year is over. Deductible and out-of-pocket are reset and you the new year starts from the very beginning. 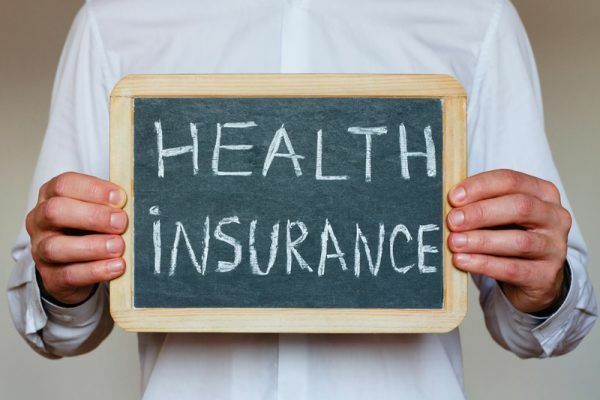 So after having read this article you have got more knowledge about health insurance terms and you are cleverer consumer of this service than before.